When you are buying a first time home, the process is usually straight forward. However, when you are moving to a second or third home, other issues arise, making the process more complicated. You will need to consider financing, and selling your home at the right time. This way, you won’t have the added responsibility of paying the mortgage on two homes. You will also want to coordinate closings, so you can plan your move most efficiently. 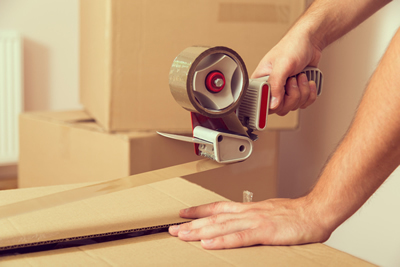 Here are some of the most effective things you can do to make the most of your move up. than trying to shop yourself. A home that shows well, and in good condition always gets the highest price. A home in less favorable condition is less appealing to a buyer. You will easily reap the rewards of completing minor repairs to your home. Also, make these improvements prior to putting your home on the market. You will want to present your home the best to get the best! The easiest and wisest strategy is to sell your home before you buy. This way, you won’t be at a disadvantage at the negotiating table, or feel pressured to accept a below-market value, to meet a purchase deadline. With your home already sold, there will be no strings attached on your next one. When you do find a new home, you have the option of putting a subject to on the contact. This way you can give yourself plenty of time to find a new home. In a slow market, perhaps you could rent your home and put it on the market later. However, with this option, check with your lawyer, tax advisor and accountant to ensure all legal, tax and financial aspects are considered. Some Real Estate Professionals offer a Guaranteed Sale Trade-Up Program. With this service, the Real Estate Professional guarantees the sale of your current home before possession of your next one. If you have found the home of your choice, and your current home has not sold, the Real Estate Professional will buy the home from you. You are free to make your move without stress and worry. Pre-approval is your green light and your maximum power. In a short time, you will know how much you qualify for, when moving up to a larger home. When you find your new home, you can present an offer immediately. A seller will often view your offer more favorably when financing arrangements are established.